Mavroff Inc. is a second generation, family owned landscape supply company. Mavroff The Mulchman is “The Original” providing premium mulch, topsoil and commercial snow plow service since 1968. We sell deliver and install to all of southeastern Wisconsin with FREE delivery to select service areas. Mavroff Inc. specializes in wholesale loads for contractors and residential deliveries. You can also stop in for free samples or pick-up orders! Mavroff Inc. is a founding member of the Wisconsin Landscape Contractors Association (WLCA). 18 varieties in stock based on availability! Mulch is stored on a paved all weather surface. Inspected trees and logs are used to make sure they are not diseased or dead wood. We do no not do any waste wood recycling, nor do we mix any tree service grinding with our purchased saw mill mulch. 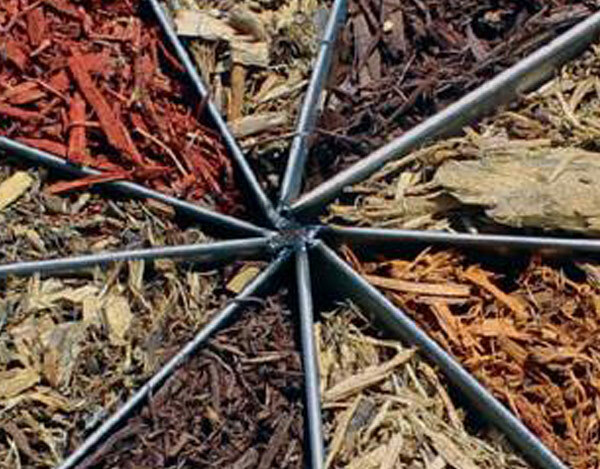 We store our mulches in individual bins and clearly marked for inspection. We also have samples indoors for bad weather viewing during normal business hours. Mulch is available all year – weather permitting!